When the seasons change so does my skincare routine. While the steps in my routine stay the same, I love doing a full revamp and overhaul of my products. I have always been extremely dilligent and consistent with my skincare routine, but I have never been faithful to only one brand. My products have always been made up of a hodge podge of drugstore to high end. 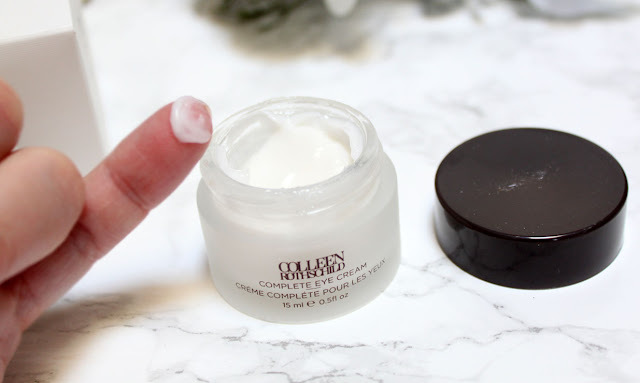 When I was given the chance to try out some of the best sellers from Colleen Rothschild I knew this was my opportunity to delve in to a brand exclusive skincare routine. 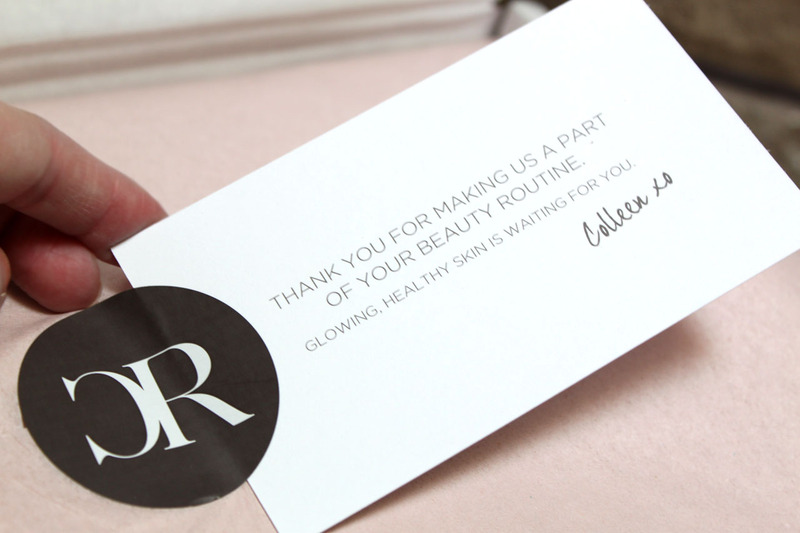 About Colleen Rothschild: What sets our brand apart from others is Colleen. 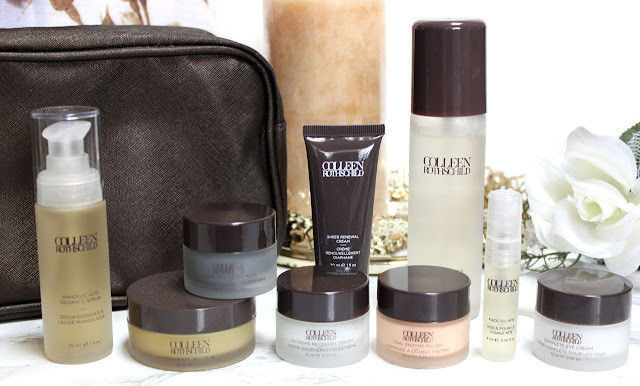 Colleen spend 20+ years behind the scenes in skincare manufacturing, creating products for other well-known brands, before stepping out and launching this line. So she had decades of expertise on ingredients that stand the test of time, and she knows when something is just a passing trend. Our products are a blend of potent plant botanicals and advanced scientific ingredients from around the world. The DISCOVERY COLLECTION is the perfect way to become acquainted with the brand. It’s a 7-piece kit filled with must-have skincare products all conveniently tucked into a travel ready bag. It’s everything you need for life on the go. I love when brands do "minis" of their full size products. I think it says a lot about the confidence they have in their products. This set covered all of the bases for my Combination Skin needs. 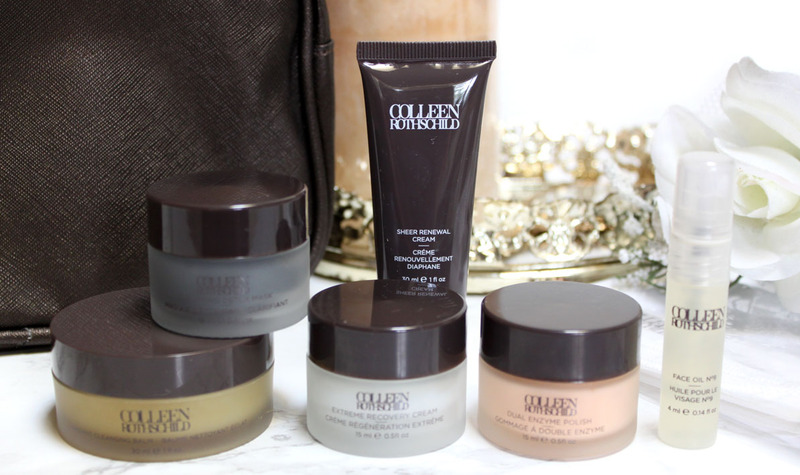 What's great about Colleen's skincare though is that it's made for every skin type. 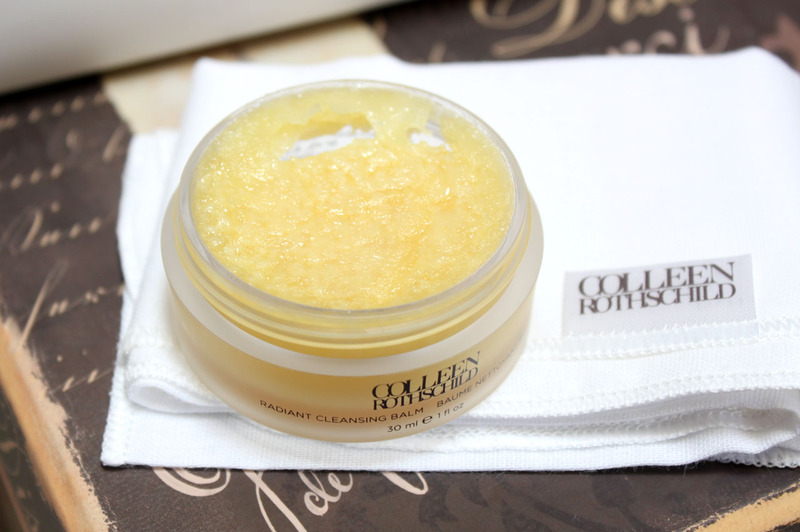 The Radiant Cleansing Balm is one of the most buzzed about products in the line so I couldn't wait to try it out. The balm has a thick buttery texture and smells amazing! Like cinnamon with a fresh herbal finish. The solid balm transforms in to a silky liquid when applied. Normally I take my makeup off with a makeup remover wipe but I am hooked on this balm now. It completely removes all traces my my makeup, including stubborn mascara, and feels luxurious while doing so. The hot muslin cloth application makes cleansing feel like a spa experience instead of a daily chore. I will absolutely be purchasing the full size! For exfoliators, the Dual Enzyme Polish gently but efficiently sloughs dull skin cells, leaving your skin feeling softy and refreshed. Microspheres blended with a fruit enzyme and AHA cocktail provide deep exfoliation. Comfrey extract and Argan oil regulate and rebalance overly stressed skin. Fruit enzyme exfoliators are my preferred polishers. This scrub leaves my skin feeling super soft and radiant after after I use it. It smells wonderful too, I can only compare the scent to that fresh mango tropical breeze scent that Island hotels use in their samples. I love that scent! For mosturizers this kit gives you three sample sizes of the Sheer Renewal Cream, Extreme Recovery Cream, and Face Oil N°9. Sheer Renewal Cream is wonderful as a daily moisturizer for my combination skin. It feels weightless under makeup and dries to a powder finish. It's almost like an oil-control primer and powder in one. I notice when I use this moisturizer my skin becomes less oily throughout the day. The Extreme Recovery Cream provides maximum levels of continuous moisture while strengthening the hydro-lipid barrier. Next-generation ingredients fight signs of fine lines and wrinkles while evening out skin tone and texture. Extreme Recovery Cream is a night cream that I would reccomend for dry or mature skin. Anti-aging is my main skincare focus these days so I appreciate the anti-aging ingredients like Matrixyl® synthe'6® to help reduce the appearance of wrinkles and Hyalauronic Acid for hydration. I know this moisturizer will keep my dry skin at bay once there's a chill in the air. The ultimate in skin luxury, Face Oil N°9 combines nine transformative oils that provide an intense moisture boost, deeply nourish thirsty skin, and leave your complexion radiant after the first application. The active combination of precious oils and vitamins offers protection from oxidative stress that results in the appearance of spots and wrinkles. This formula also improves the skin's moisture barrier for enhanced cellular function and hydration, leaving no greasy residue. 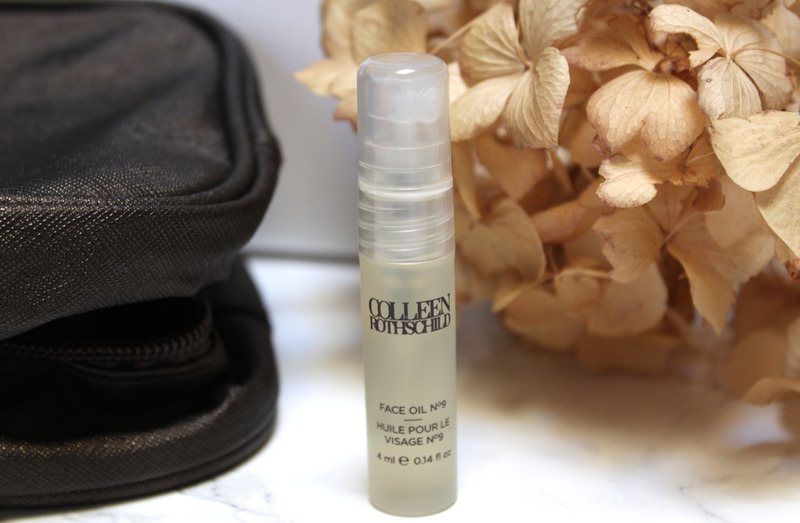 Because the Extreme Recovery Cream is more of a Winter moisturizer for me, I have been using the Face Oil N°9 as my nightly moisturizer. I love oils, sometimes I will for-go regular moisturizers and just use a serum or oil. I apply 3-4 drops nightly, it sinks in to the skin and leaves my skin feeling hydrated and glowy not greasy. It contains Black Seed Oil for antioxidant protection, Moringa Oil to restore luminosity, Marula Oil to balance the complexion, and Omega 3, 6 &9 for intense moisturization. It also has that same warm enticing scent as the Cleansing Balm. Over the past few months I have been trying to fade some dark spots and freckles from sun exposure on my cheeks. I have tried so many products with very little success. Instead of looking for another hydroquinoine product, which I really don't like the idea of using, I decided to give Colleen's Mandelic Acid Radiance Serum a go. 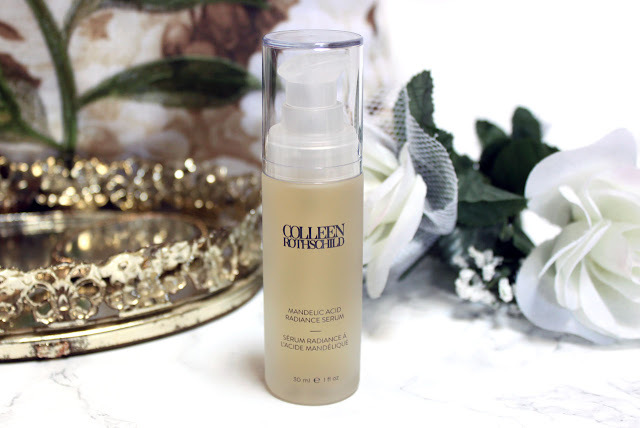 Mandelic Acid Radiance Serum is formulated to gently exfoliate, dissolve and breakdown the tiny bonds between dull dead skin cells that sit on the skin’s surface. Over time, a brighter and more radiant complexion is unveiled. I have been rotating this with the Face Oil no.9. Within one week I noticed my skin looking brighter with slight fading of my sun spots. I am excited about this product and hopeful that it will fade those stubborn darks spots over time. I had completely given up on using eye creams because they were alwys too heavy and broke me out or irritated my sensitive eyes. Needless to say I am always on the hunt for a new one. 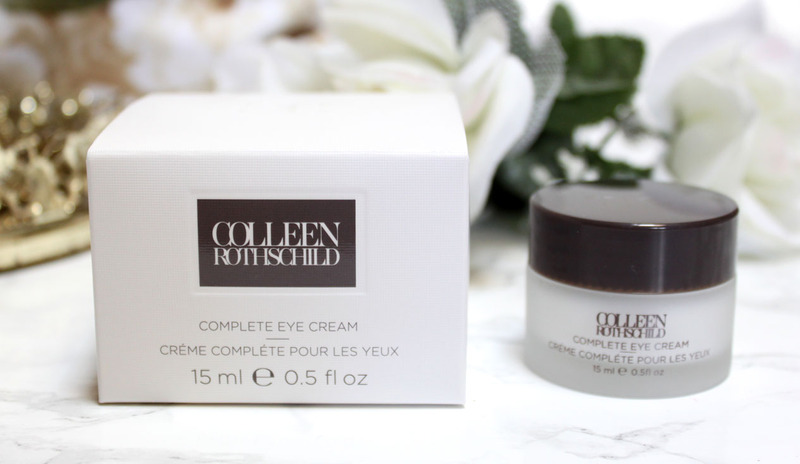 The Complete Eye Cream addresses the signs of fine lines, reduces the appearance of under-eye darkness and restores elasticity. So far so good with this eye cream! It's lightweight, hydrates beautifully, and doesn't irritate my eyes. I am crossing my fingers that this will be the one and only eye cream to stay in my skincare routine. I also love Colleen's tip of taking the extra and appyling to your smile lines. Being the skin mask junkie that I am I bought the full size of the Clarifying Detox Mask with out even trying the sample! 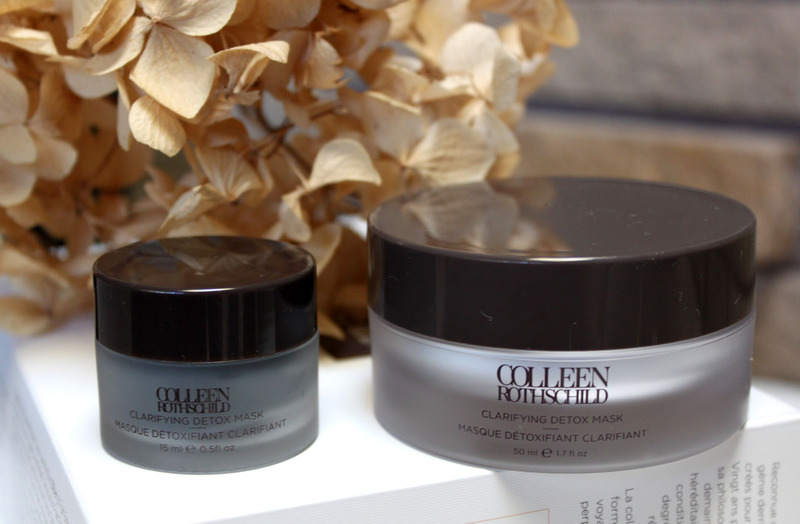 Skin will breathe a sigh of relief as the Clarifying Detox Mask removes trapped dirt and debris. 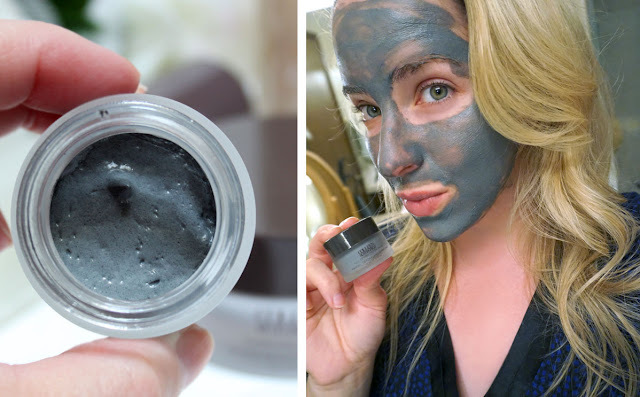 Activated charcoal and French Kaolin clay go straight to work detoxing pores and leaving behind a more balanced complexion, while pure micronized silver helps keep bacteria at bay. A blend of Vitamin C and Willowherb extract brighten and soothe inflamed skin. I do not regret blindly buying the full size of this mask because it has become a weekly appearance on my face. It detoxes the skin, pulling out all of the yuck from deep inside your pores while soothing and balancing the skin. This mask feels so refreshing, it has a cooling effect that lasts until after you wash it off. It's so refreshing. The final step in my skincare routine is a beauty water. I have been buying the Evian Water for years so I was excited to have a new option. 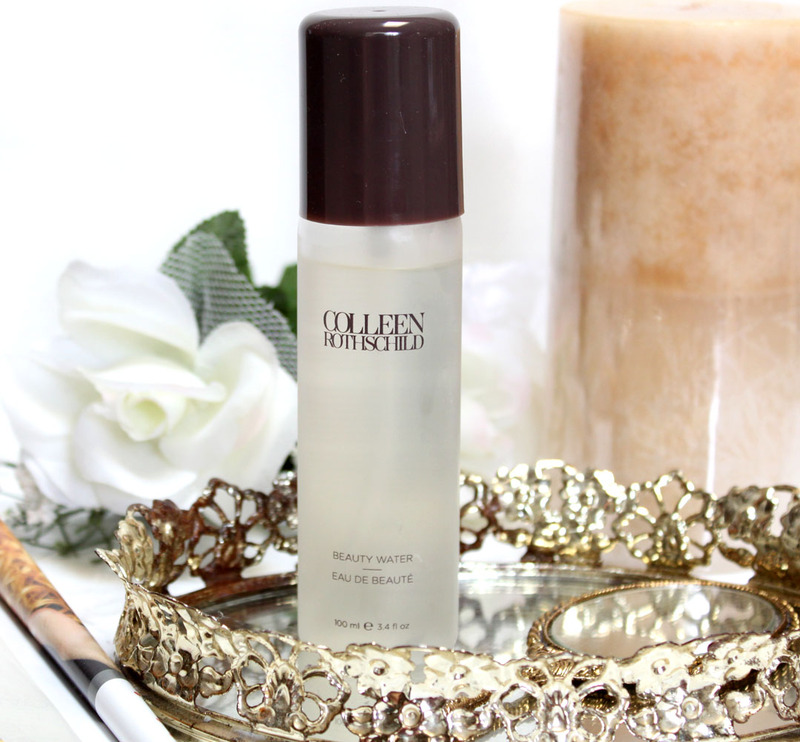 The Multi-purpose Beauty Water from Colleen Rothschild delivers immediate and long-term hydration by preserving optimal H20 balance, eliminating trans-epidermal water loss and boosting hydration under moisturizers. 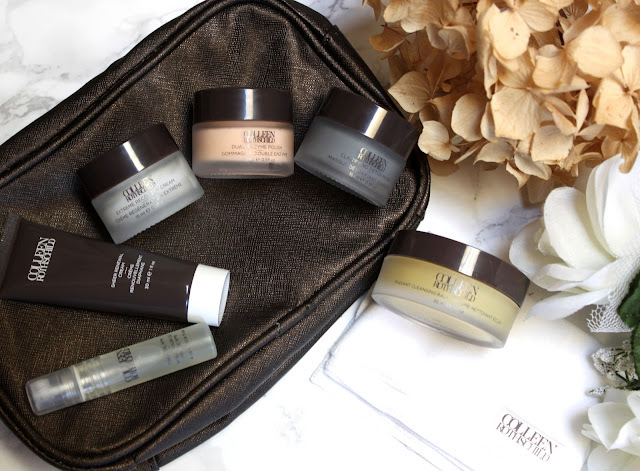 This pick-me-up for dehydrated, tight, uncomfortable skin cools and calms, sets and refreshes makeup and leaves your complexion with a healthy glow. I spritz this misting water on throughout the day for a pick me up or when I have over powdered my face. Frivolous? Yes, but I don't care it just feels wonderful! Beauty Water isn't just spray water in a bottle though. It contains Coconut Water for hydration, Hyaluronic Acid to plump the skin, Cucumber Extract to tone and soften, andAcquaCellTM to give you an extra moisture boost. If you have dry skin, definitely give this a try! 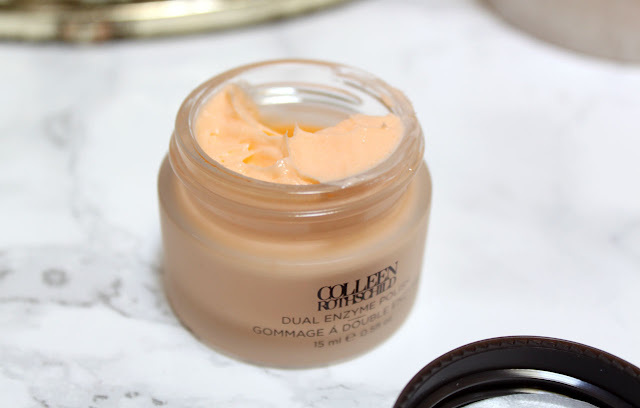 It gives your skin the prettiest dewy glow. Having my skincare Fall "wardrobe" complete makes me less sad to say goodbye to Summer and ready for Fall. It also makes me feel like a grownup having a one brand for all skincare routine. 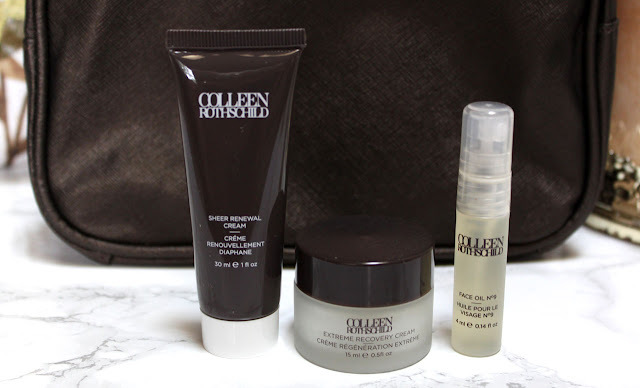 Even though that might not be feasable forever, I know I will be keeping many of Colleen Rothchild's products in my skincare routine for the long run. My two must-haves: The Cleansing Balm & Detox Mask. Check out how my fellow bloggers beyondbeautylounge and katelovesmakeup are getting on with Colleen Rothschild skincare! Also, be sure to grab the 20% off code below to save on your Colleen Rothschild purchase! This code will expire one week from this post so be sure to act fast! 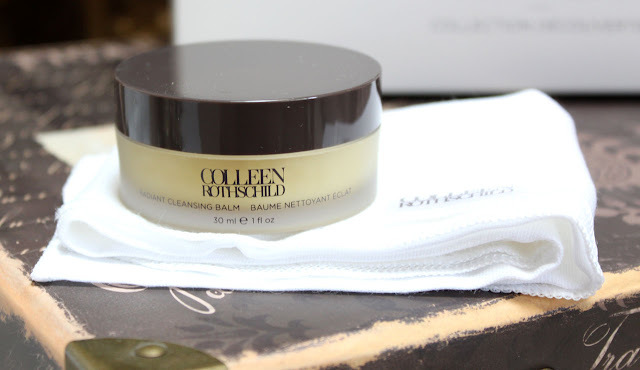 Have you tried Colleen Rothschild skincare? Which items are your favorite?